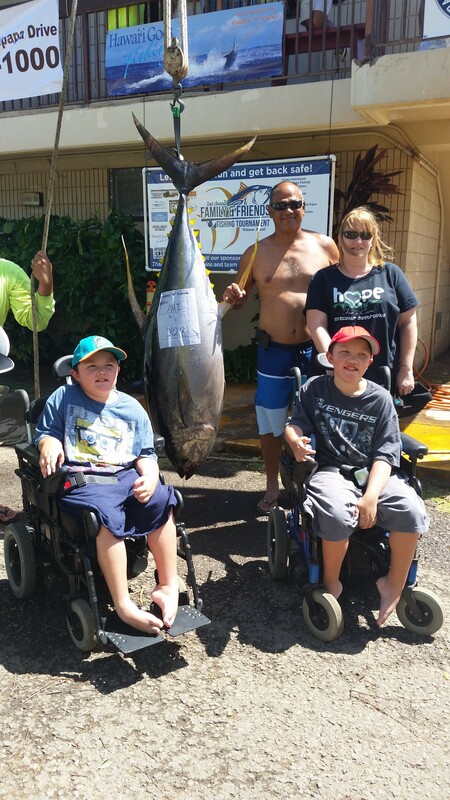 The 2015 Family “N” Friends Fishing Tournament dedicated their activity to a family in need. The two recipients of donations from the tournament are Punualii Kahanu and Pulikikaua Kahanu, children of Earl Kahanu Jr. and wife Tracy. They have Duchenne, an M.D.A. muscular disease. Next year the tournament will work toward sponsoring a lupus patient. 1. 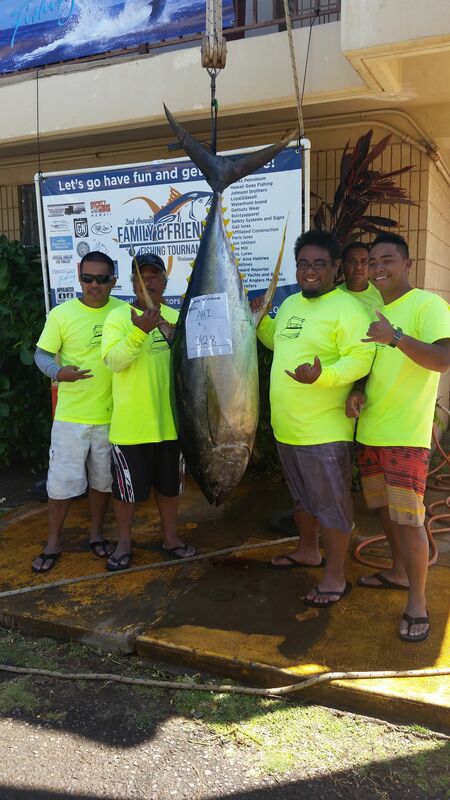 Total weight 455.4 lbs., Captain Justin Oho, boat name – Kami-Kaze, total of 3 Ahi, 1 Ono. 2. 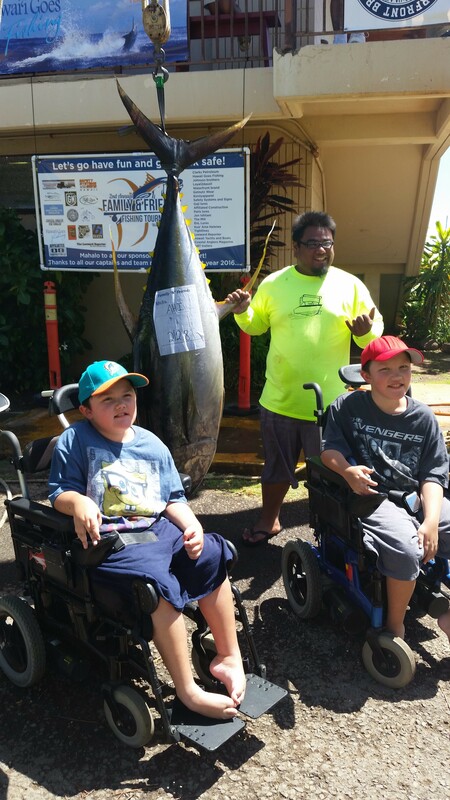 Biggest Ahi 212.8 lbs., Captain Matt Cabjuan, boat name – Carol C II. 3. Biggest Marlin 201.4 lbs., Captain Ryan Nishikawa, boat name – Kacy K.
4. 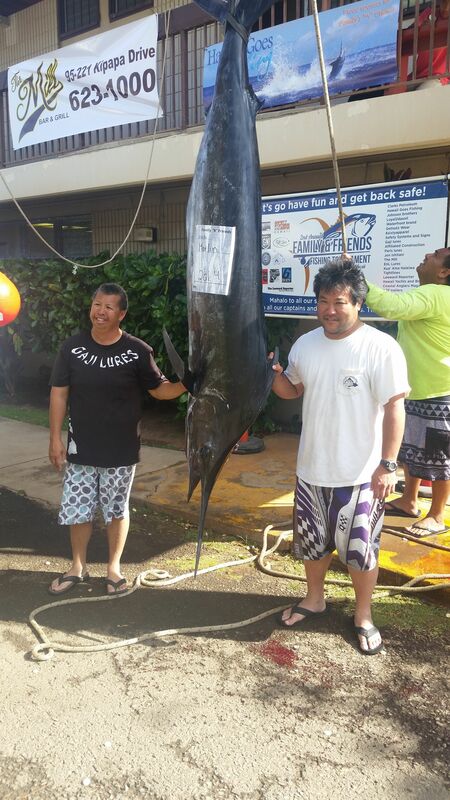 Biggest Ono 23.4 lbs., Captain Andy Green, boat name – Jenny G.